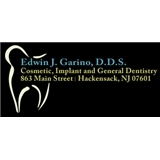 Edwin J. Garino, DDS (Hackensack) - Book Appointment Online! Very cautious staff. Dr is very professional.